Educators must work to end the school-to-prison pipeline. This article can be found in Class Action: An Activist Teacher’s Handbook, a joint project of Jacobin and the Chicago Teachers Union’s CORE. The booklet can be downloaded for free, and print copies are available for a limited time. In 2013, the American Civil Liberties Union (ACLU) published a listicle on Buzzfeed highlighting the egregious ways young people have been criminalized in American schools. Titled “Eleven Students Whose Punishments We Wish Were Made Up,” examples included “a twelve-year-old student in Texas [who] was charged with a misdemeanor for spraying herself with perfume and ‘disrupting class.’” In another case, a dropped piece of cake in the lunchroom triggered the arrest of a sixteen-year-old California student who, courtesy of a school police officer, ended up with a broken wrist. Across the nation, eerily similar stories proliferate. Students, particularly those of color, are being pushed out of school and into the criminal legal system through excessive suspensions, expulsions, arrests, and an over-reliance on high stakes testing. Or they are slotted into special education classes — a one-way ticket to an individualized education plan. 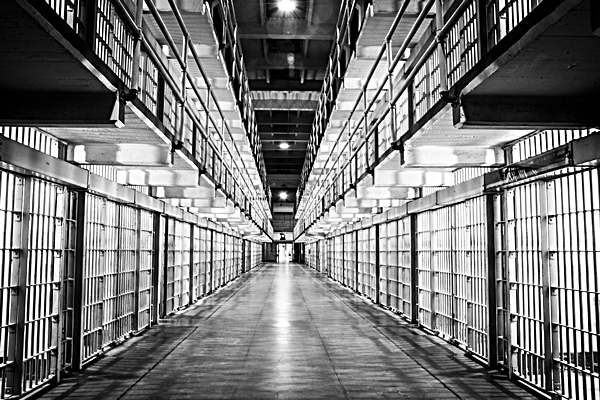 Increasing numbers of policy makers, advocates, academics, educators, parents, students, and organizers are focusing explicitly on the relationships between education and imprisonment, also known as the school-to-prison pipeline (STPP). Less a pipeline than a nexus or a swamp, the STPP is generally used to refer to interlocking sets of structural and individual relationships in which youth, primarily of color, are funneled from schools and neighborhoods into under- or unemployment and prisons. While the US public education system has historically diverted non-white communities toward under-education, non-living wage work, participation in a permanent war economy, and/or incarceration, the development of the world’s largest prison nation over the last three decades has strengthened policy, practice, and ideological linkages between schools and prisons. Non-white, non-heterosexual, and/or non-gender conforming students are targeted for surveillance, suspended and expelled at higher rates, and are much more likely to be charged, convicted, and removed from their homes, or otherwise to receive longer sentences. Criminalizing student behavior is not new. The concept of the “school resource officer” emerged in the 1950s in Flint, Mich., as part of a strategy to embed police officers in community contexts. In 1975, only 1% of US schools reported having police officers. As of 2009, New York City schools employed over 5,000 school safety agents and 191 armed police officers, effectively making the school district the fifth largest police district in the country. This culture of control and surveillance mirrors the intensification of state punishment. Starting in the 1970s — despite a decline in the rates of crime (not always a measure of harm) — states implemented “tough on crime” policies that built the world’s largest prison population and did not make communities stronger or safer. A carceral logic, or a punishment mindset, crept into nearly every government function, including those seemingly removed from prisons. Those seeking food stamps are subject to mandatory and/or random drug testing. Immigration and Customs Enforcement has become the largest enforcement agency in the US. Post-secondary education applications ask about criminal records, and many states bar those with felony convictions from voting. In K–12 education, high-stakes testing is a proxy for “accountability,” and “low-performing” schools are punished with closure while charter schools continue to open. After a few high-profile school shootings in the early 1990s, states introduced “zero tolerance” discipline policies to address a wide range of behaviors schools identified as undesirable. The subsequent increase in surveillance cameras, security guards, metal detectors, and punitive school discipline policies doubled the number of students suspended from school from 1.7 million a year in 1974 to 3.7 million in 2010. The impact of suspensions is clear. Suspended students are three times more likely to drop out by the tenth grade than peers who have never been suspended. Paralleling our unjust criminal legal system, students of color are, unsurprisingly, targets in schools. One of every four African-American public school students in Illinois was suspended at least once for disciplinary reasons during the 2009–10 school year, the highest rate among the forty-seven states examined by the Center for Civil Rights Remedies. While overall youth school-based arrests in Chicago Public Schools (CPS) are down from a peak of more than 8,000 in 2003, black youth are still disproportionately arrested. In 2012, black students, who represent about 42% of the total CPS population, accounted for 75.5% of school-based arrests. Again, mimicking what is happening in the juvenile justice system, the vast majority of these school-based arrests are for misdemeanor offenses (84%) as opposed to felonies (16%). In other words, youth are not being arrested for serious violent acts or for bringing a weapon to school, but for disrespect or “fighting.” Often the term used to describe the differentials between white and black suspension and arrest is “disproportionality,” but this term masks the central roles white supremacy and anti-black racism play in shaping ideas and practices surrounding school discipline. Yet we won’t solve the STPP problem by simply changing school disciplinary policies. Because many states spend more on prisons than education, we have to change funding priorities as well. Take Illinois, for example. Between 1985 and 2005, the state built over twenty-five new prisons or detention facilities. Over the same span, no new public colleges or universities were established. Funding reform initiatives for K–12 education, mandated by the Illinois State Supreme Court, have stalled for decades — ensuring that poor communities and communities of color still receive significantly less money. Additionally, attacks on workplace rights are tied to the carceral logic. Corporate-driven reforms that reshape schools as sites of temporary and unprotected labor constrain school personnel’s capacity to interrupt the STPP. We know that students benefit when teachers have workplace protections that foster speech, independent thinking, and advocacy. The push to de-professionalize and de-unionize school personnel — and reframe teachers as Peace Corps lightworkers — transforms teachers into precariously employed charity workers with few rights and meager compensation. In current circulations of corporate education reform, the image of the lazy, negligent, unionized, female teacher has emerged as a figure to despise. In tandem, the unruly black and brown children require the discipline and order that can only be achieved through schools’ intimate partnership with the police, the military, and the business community. This is a recipe for disaster. As the Chicago Teachers Union repeatedly reminded us in their successful fall 2012 strike, teachers’ working conditions are students’ learning conditions. If educators are forced to teach to tests that don’t actually measure student learning, have no employment security but instead are “at will” workers, and are de-professionalized beyond belief, teachers are significantly less likely to support cultures within schools that resist racial profiling or to build other mechanisms to address harm in their schools. What to do? We are part of and committed to national and local organizing that is building restorative and transformative justice into schools and communities. These philosophies and practices of justice, in contrast to retributive ones, seek to empower communities to respond holistically to violence and harm. Restorative and transformative justice take into account the needs of those affected by an incident of harm, the contexts that produced or shaped harm, and seek to transform or rebuild what was lost rather than view punishment as a final resolution. We desperately need our schools and communities to become restorative and transformative spaces. We also know the best way to prevent future incarceration is to invest in people and communities and provide excellent educational opportunities for all. A 2007 study estimated that for each potential dropout who completed high school, the US could save $209,000 in prison and other costs. Why not shift budgets from cops in schools to counselors, from building prisons to opening up additional spaces in free public colleges and universities? Instead of more militarized borders, why not ensure that all youth have access to meaningful, discipline-building co-curricular activities such as music, drama, art, and sports? These are not just pipe dreams. Communities are pushing back and building the world we need. Groups like Chicago’s Community Organizing and Family Issues (COFI) have developed downloadable resources for parents on how to advocate for and build restorative justice practices at their children’s schools. (As COFI has documented, implementing community peace rooms staffed by parents and volunteers has reduced suspensions and had a positive effect on attendance and behavior.) In the last few years, a network of community groups has emerged offering both spaces to dialogue and concrete ideas on how everyday people can build safety that is not reliant on criminalization — from New York’s Audre Lorde Project, to Chicago’s Project NIA, to Oakland’s Story Telling and Organizing Project. In addition, teachers are changing classroom practices and school cultures by constructing alternatives. Restorative justice is essentially an unfunded initiative, but teachers across the country are hungry for options. In Chicago over the last couple of years, teachers have crowded workshops at the Teachers for Social Justice Curriculum Fair and other sites to learn how to support this paradigm shift, and how to build alternatives to harsh disciplinary policies. Arresting the flow of young people from communities into prisons requires rethinking and rebuilding across multiple systems and structures. Schools are just one site for this labor, and we are heartened to see the promising efforts across the country to build them into restorative and transformative spaces. Mariame Kaba is the founding director of Project NIA, a grassroots organization with a vision to end youth incarceration. She is also a co-founder and co-organizer of Survived & Punished. Erica R. Meiners is a professor of gender and women’s studies and education at Northeastern Illinois University.